A new word is at risk of breaking the internet in China and has now been shared countless times around the world as people still try to get to grips with its meaning. The Chinese character “duang” is so new that it is yet to make it into the Chinese dictionary but has so far been shared over 8 million times on the Chinese micro-blogging site Weibo. The word, which is thought to be an example of onomatopoeia, actually comes from a 2004 shampoo TV advertisement featuring famed Chinese actor Jackie Chan where he defends his bright black hair using the devised “duang” to emphasise the point. While there is no clear translation as yet it is thought to emphasise as an adjective, for example it is being used to describe things as ‘duang good’. 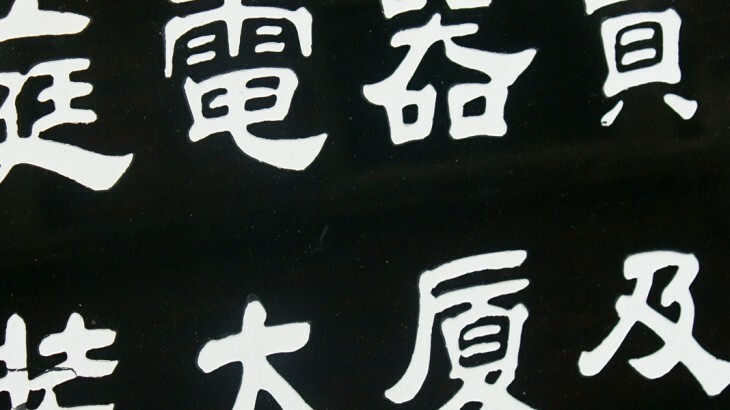 If visitors on escorted China holidays didn’t have enough of a language barrier to contend with, this latest character looks to be duang confusing for people around the world. The expression comes from Chan’s filming of an advertisement for Bawang shampoo in 2004 where he explains that he would usually be hesitant about filming such an advertisement as he would be worried that the director would use lots of special effects to make his hair appear ‘very black, very bright, very DUANG’. This latest resurrection of the word comes from the video being re-edited to emphasise the word and has since taken the internet by storm and caused many to state that ‘duang’ has broken the internet. English speaking China tours make it easier for visitors to get around and start to learn the basics and this latest addition causing a media storm looks to make the language, or at least the contemporary customs, easier to recognise and relate to. With such posts making worldwide news, it is hoped that further interest in learning useful Chinese phrases will be encouraged among visitors to China. China china news, random. permalink.